Our founding partner, Joshua D. Zelman, was born and raised in Miami-Dade County. The son of two small business owners, he learned the value of hard work and a good name at an early age. He attended high school at MAST Academy where he was heavily involved in the only Coast Guard Junior ROTC program in the country. Mr. Zelman is a Board Certified Criminal Trial Lawyer. 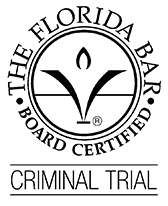 Board certification recognizes an attorneys’special knowledge,skill, and proficiency in criminal trial law, professionalism, and ethics. Question: Where do I go to file for divorce? Zelman Law is located in Tallahassee, FL and serves clients in and around Tallahassee, Woodville, Midway, Saint Marks, Crawfordville, Lamont, Monticello, Wacissa, Gretna, Havana, Quincy, Sopchoppy, Panacea, Jefferson County, Leon County and Wakulla County. situation. This information is not intended to create, and receipt or viewing does not constitute, an attorney-client relationship. © 2016 - 2019 Zelman Law. All rights reserved.